Why Choose A New Driver? RSA ADI Driving Instructor with over 10 years teaching experience in Ireland and the U.K.
Dual controlled car for your comfort and safety. Refresher lessons for people brushing up on their driving. Only one student in the car during your lesson. Pretest lessons in Raheny & Finglas test areas. 1 hour or 2 hour lessons. James Hickey did all his training in the U.K passing all his exams under the strict scrutiny of the Driving Standards Agency (D.S.A) and obtained the qualification A.D.I. Approved Driving Instructor. He is a fully qualified RSA ADI (APPROVED DRIVING INSTRUCTOR) servicing your area. – James set up his own company in August 2005 and has had no shortage of successful and happy clients who highly recommend him for both lessons and pretests. 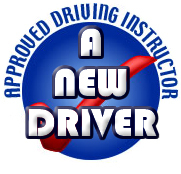 We offer affordable driving and pre-test lessons.